As your dog ages, many of the basic needs, from diet to exercise, will begin to change. Regular wellness exams with your veterinarian will help to promote your dog’s health and longevity through routine preventive care, recognize and control your animal’s specific health risks and detect any illnesses at the earliest stage. Different sized dogs age at varying rates, with larger dogs reaching senior status earlier than smaller dogs. 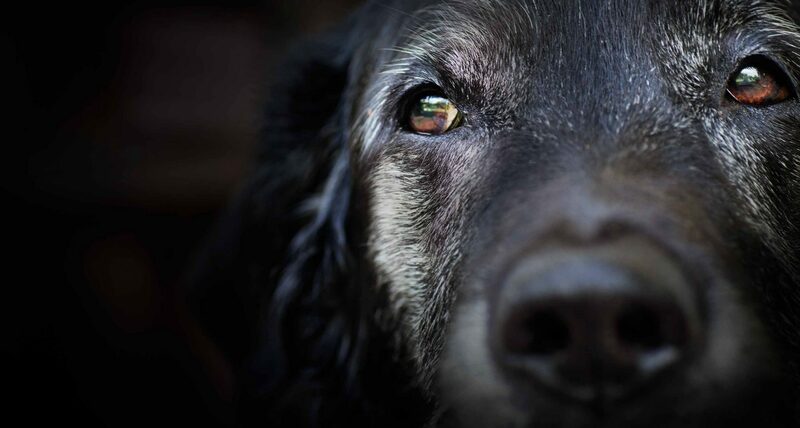 Most would agree that on average, a dog becomes a senior between 7-10 years of age. Size, genetics, nutrition and environment will all play a role in how quickly your dog ages. Arthritis, dental disease, liver disease, cognitive decline (senility), cancer, hearing and vision loss and kidney disease. Many of these illnesses can be noted by owners, so it is important that you monitor changes in your dog’s health and behaviour. First and foremost, schedule regular wellness exams with your veterinarian. The purpose of these wellness exams is to promote health, longevity and comfort and detect any illnesses at their earliest stages. Remember it is much cheaper and easier to prevent disease than it is to treat it! Secondly, your veterinarian will likely recommend some baseline laboratory tests (e.g. blood work, urinalysis, blood pressure). As well, it is important to keep your dog at an ideal body weight, to take care of your dog’s teeth, and provide plenty of toys to keep your senior dog active and stimulated. Finally, depending on your dog’s health issues, your veterinarian may recommend supplementing your dog with fatty acids, a diet change, and special accommodations in the house (e.g. ramps, carpets, bedding changes). As your dog ages, many of his basic needs will begin to change. Your veterinarian will help you understand what it takes to keep your senior dog happy and healthy.